It gives me immense pleasure to share my feelings from a few days ago. Being born as a girl and growing into women is so challenging. Also nature and almighty gave boon to becoming a mother; most prestigious designation! But the journey is not easy. Menarche is a very sensitive turning point in every girl's life. I happened to visit a rural area few days ago and with the help of an NGO we conducted a health checkup camp specially for girls and women from ages 8 - 60 years. We started from younger girls and tried to talk in most simple form so that they could feel free to express themselves. Besides general health problems, most had issues associated with menstrual cycle. 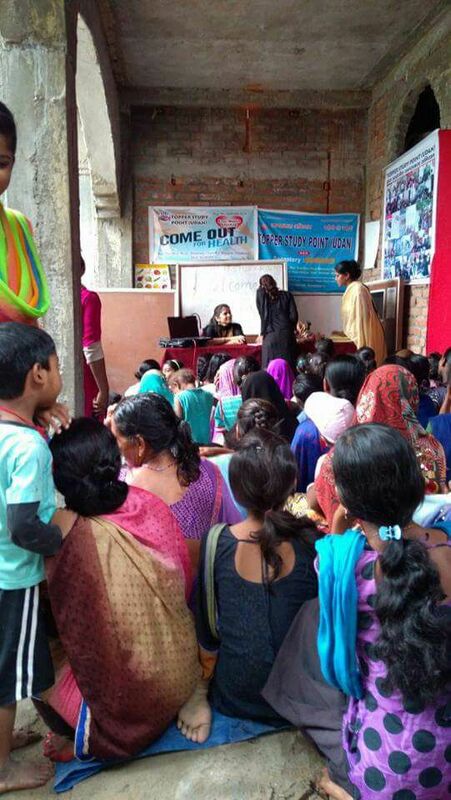 To our surprise, majority were not using sanitary napkins, but using clothes! 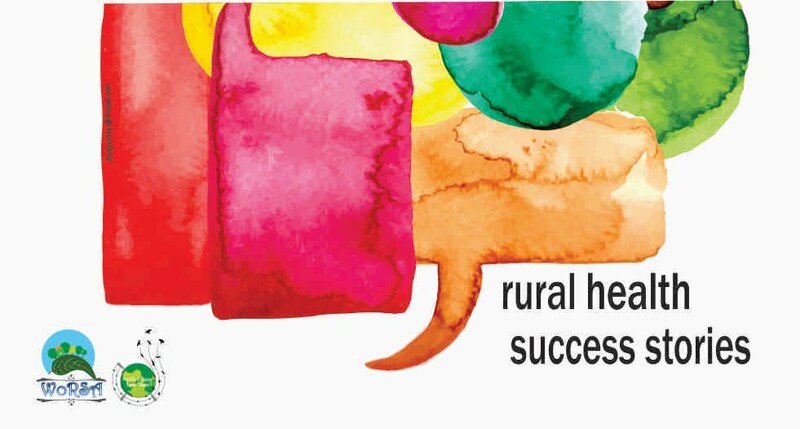 It gave rise to health issues they felt ashamed to discuss. During camp we showed short animation movies about adolescent health as mass media has better impact. These girls and women were convinced that spending little on sanitary napkins will help in contributing towards positive health. We tried to inculcate in their mind that along with spending on clothes and jewelry, they should save little to be spent on sanitary napkin. They all promised to do so from coming months. Also elderly ladies complained of anemia and general ill health like backache, hypothyroidism and diabetes. 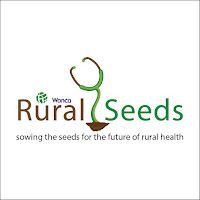 They were advised regular health checkups at district hospital and to take medicines on regular basis. 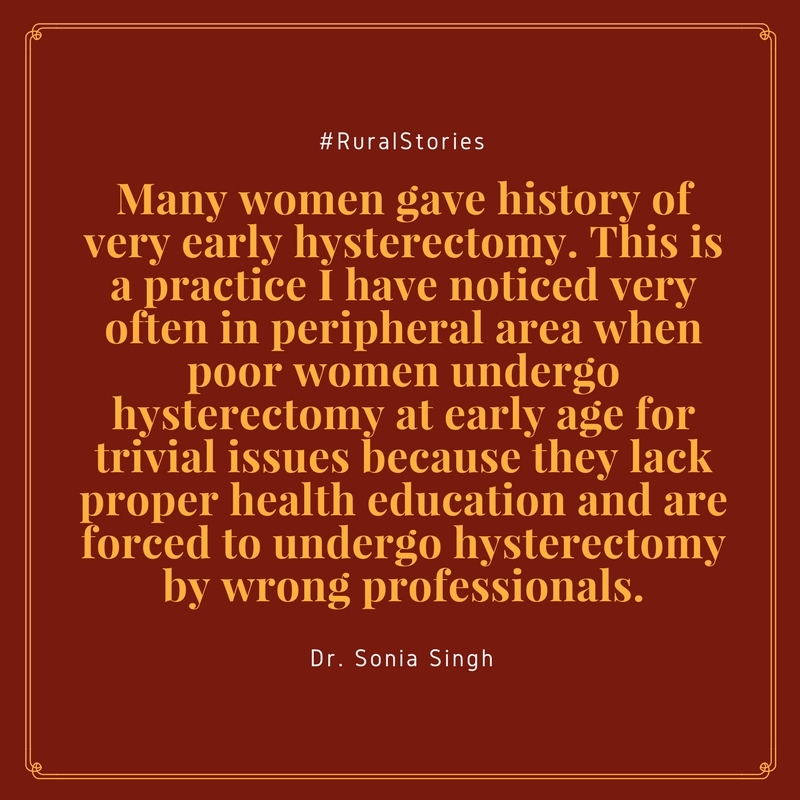 Many women gave history of very early hysterectomy. 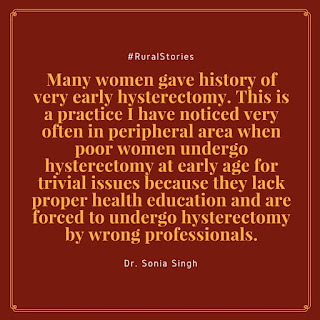 This is a practice I have noticed very often in peripheral area when poor women undergo hysterectomy at early age for trivial issues because they lack proper health education and are forced to undergo hysterectomy by wrong professionals. They are thus exposed to osteoporosis and other hormonal imbalances for the life time. 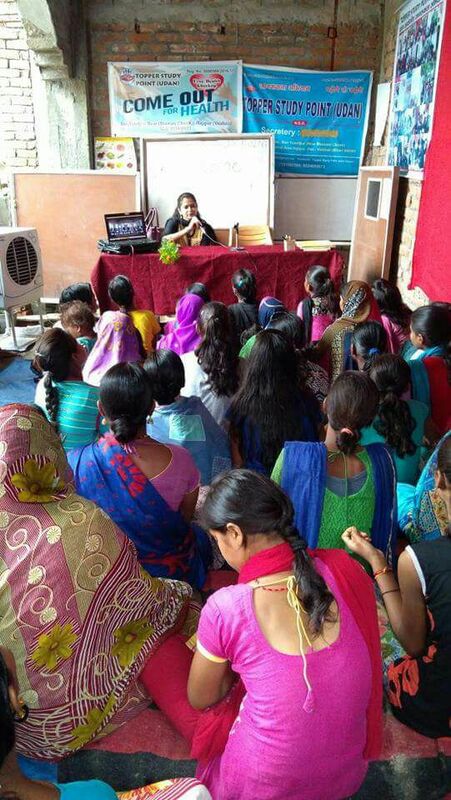 The camp concluded with the message of using sanitary napkins on regular basis, regular health checkups and sharing health issues with community workers for betterment of women’s health; also plans to start a small scale industry for sanitary napkins at a cost which community can afford. All endeavours need lots of planning, capital and proper implementation. But as said "strong determination is half battle won". Look forward to contribute to womanhood in most positive way. Proud to be a women..Proud to be a mother!